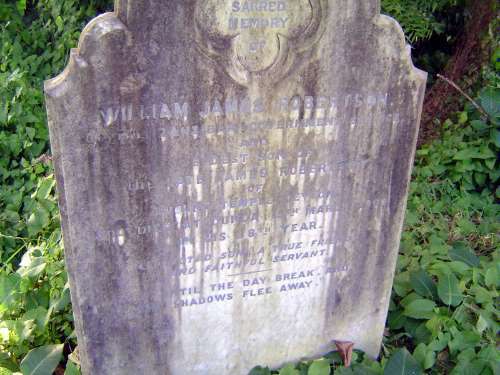 "William James Robertson, of the Zanzibar Government service and eldest son of the late James Robertson of Mount Temple, Ceylon, who died at Durga(? ), 5th March... in his 38th year." Mount Temple was a plantation near Gampola, in the highlands south of Kandy.